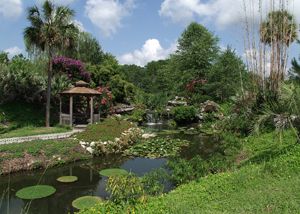 Kanapaha Botanical Gardens were leased to the North Florida Botanical Society for 90 years in 1979. The gardens are home to 24 collections, making it an ideal location to celebrate your next special occasion. For more information, please visit the official website at: www.kanapaha.org.